Get all the flavor of slow-cooked chicken tinga in this simple recipe using rotisserie chicken and fire roasted tomatoes. 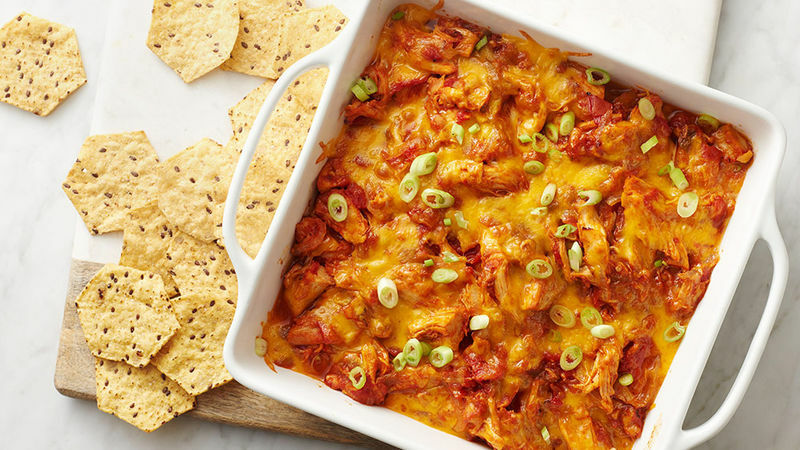 If you’ve ever had traditional chicken tinga, you already know that this chicken tinga dip is beyond your average chicken, mixed with your average tomato sauce, and topped with your average cheese. If the name “tinga” alone isn’t proof of its uniqueness, one bite of tender shredded chicken, smothered in garlicky, fire-roasted tomato sauce, and topped with two kinds of melted ooey-gooey cheese, and you’ll taste why there is no chicken quite like tinga chicken. While eating right out of the skillet makes any of our skillet recipes seem even more delicious, we've found that when the recipe is a dip, doing so is *somewhat* more acceptable.